The 2015 spring steelhead season is fast approaching and booking for beginner classes is now open. 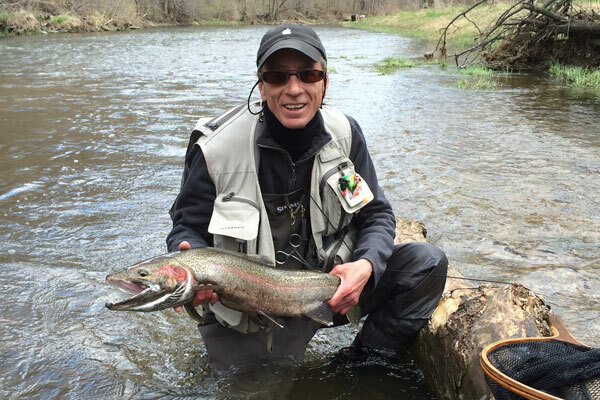 When choosing a date for your class, keep in mind that run timing varies from year to year and weather plays an important role in steelhead migration. The peak of the migration generally occurs around the last week of March and first week of April on Wisconsin tributary streams. Booking an early class date will provide you with the skills to fish the remainder of the spring migration on your own in Wisconsin or Michigan. Booking a later class date will insure there are an ample number of fish in the river and increase chances of hands-on, site-fishing opportunities. January 13, 2015 in All Articles.